The Black Dog Tall Ships is once again excited to collaborate with a team of talented educators and writers for the 8th year as the “Creator’s Week” program returns aboard the schooner Shenandoah in 2019. “Creator’s Week” brings together our popular and one-of-a-kind “Kids Cruise” camp program with daily writing workshops, creative activities, and personal feedback from professional editors to create an amazing experience and opportunity. The writing is fun, the improv games are a highlight. Small group activities explore the writer’s craft—from practicing close observation and turning those observations into similes and metaphors that stick, to activities and games that help writers build interesting characters and create suspense. 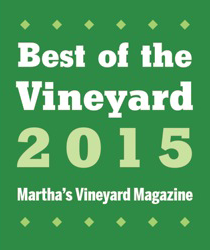 Best of all, the editors are on deck all day for individual mentoring, feedback, and sharing. Following breakfast and cleanup each morning–and again after the day’s sail–writers get together to share their work, journal-writes, and brainstorms. Sailing and swimming follow in the afternoon; each day is different! Whether it’s poetry, stories, essays, fantasies, sci-fi, ghost stories, or one-act plays, “Creator’s Week” campers love to write! With personal and group workshops, campers will leave this program with sharper writing skills and wheeling imaginations. 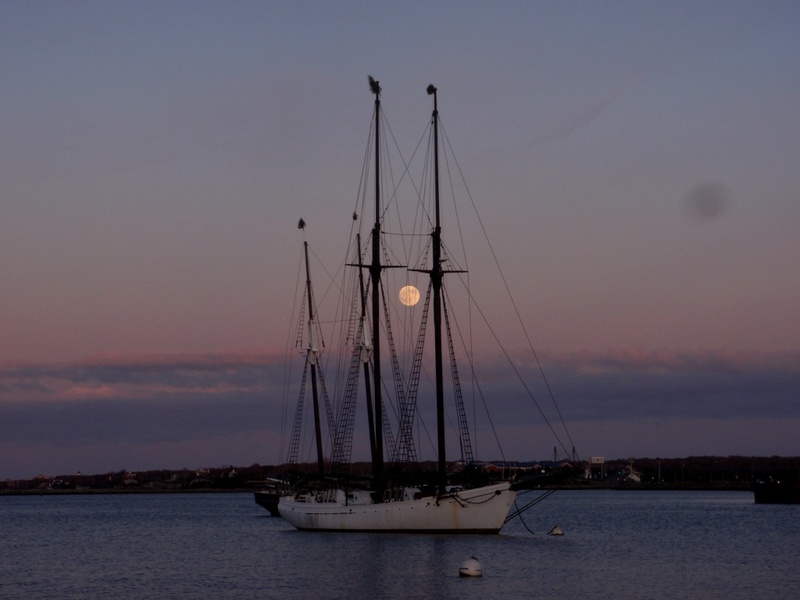 Passengers board vessel on Sunday, July 7th at 7:00pm and disembark on Saturday the 13th at Noon from the Black Dog Wharf in Vineyard Haven. Cost is the standard Summer Camp rate – $1,200 per passenger. – All reservations made through the Black Dog Tall Ships office by calling 508-693-1699 or through online reservation request here. “Writer’s Week” is suggested for passengers between the ages of 12 and 17 years-old (younger passengers may of course join as well). Campers wake and join the crew for the daily deck scrubbing and clean up of the Shenandoah. Campers are divided into groups to work with the Merlyn’s Pen teaching artist. The workshops are generative and immersive creative writing exercises for all genres. 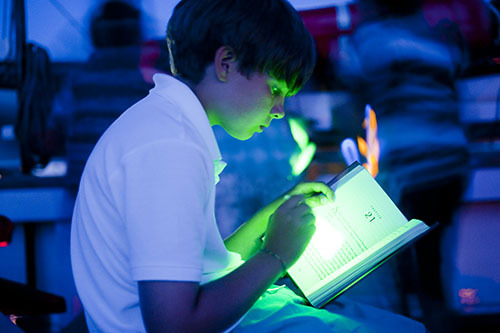 Each class focuses on a new literary technique to sharpen and explore. Exercises in metaphor, dialogue, stark imagery, personal narrative, the omniscient voice, and character development are introduced while toying with exciting prompts to inspire fiction, poetry, song writing or personal/comedic essay. Campers are offered free time to take a nap, write on their own, meet one-on-one with the Merlyn’s Pen teaching artists, play cards, socialize or ask the crew questions about sailing. Wind permitting, campers take a hands-on approach to sailing. They work alongside the crew as we sail around the sound. Lessons on the basics of sailing include knot tying, line identification, chart reading and rowing. Schedule is subject to change due to wind and weather conditions, or trips to the shore. There will also be a Talent Show mid-week, and a Final Salon Reading of student work at the end of the trip. The “Kids Cruise” summer camps remain a consistent and popular part of each season. These week-long cruises for all young sailors of any ability stand along in their accessability for youngsters from anywhere to step onto a living piece of sailing history and enjoy the pure experience of life onboard. We return with 4 programs scheduled for this summer – July 13th, 20th, 27th & August 3rd. Registration has been open since the 1st of the year but space remains for each trip. Frozen pilings here on the BD Wharf but the clocks turn ahead this weekend as we come down the homestretch of the 2014 winter. Enjoy winter while you can because just like a Vineyard summer, it will be over before you know it! These are amazing opportunities for children between the ages of 9 and 16 years old. Onboard the Shenandoah, these six-day sailing adventures are experiences that really can’t be duplicated anywhere else… Our passengers get to become part of the working crew of the ship, learning the basic skills of sailing and seamanship, make great friends and sail onboard the world’s only square rigged schooner that operates without an engine while having the best week of their summer vacation! A literal time machine, the Shenandoah continues a type of traditional sailing that was once so common, but now has almost completely vanished with time. Our passengers are kids and sailing needs to be FUN above everything else! The Black Dog Tall Ships embraces this which is linked directly to the success of the camp program. For those whose children have sailed with us before, we look forward to having them come onboard again in 2012 (when the weather will be far from what’s rolling through Vineyard Sound today). For those who are interested, please visit www.theblackdogtallships.com for details on the “Kids Cruise” Summer Camps. The Foundation will strive to: • Continue the vision of Shenandoah’s designer and master, Robert S. Douglas and use his knowledge as the curriculum’s template. • Establish Shenandoah’s recognition as one of the finest examples of sailing ships in the world. • Raise funds and solidify Shenandoah’s various maintenance needs through creative ventures. • Manage a professional organization based on prudent business principles. • Create relationships with businesses and organizations to further the Foundation’s fund-raising efforts, recognition and exposure. Come Aboard Throughout the 2008 sailing season the Shenandoah Foundation will sponsor events for the public to come aboard this one of a kind vessel for free tours and instructional workshops with the captain and crew. Among the Foundation’s goals is to further the exposure of this magnificent and historical vessel and to present the public the opportunity to view and experience the Shenandoah first-hand. 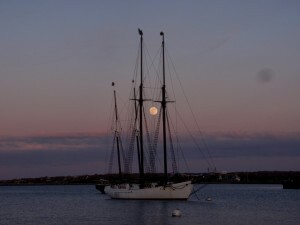 Free public tours and knot-tying days: On the fourth Sundays of June, July and August the Shenandoah Foundation welcomes the public onboard from The Black Dog Wharf in Vineyard Haven for an open house and knot-tying lessons from the schooner’s crew. Families and individuals can tour the vessel and learn more about the programs offered each year onboard the world’s only non-auxiliary square topsail schooner since 1964. Check out the trailer from the film Jack London’s Sea Wolf and see the Tall Ship Alabama in costume!